So with the Fable train still chugging along Lionhead and Microsoft have got another little mini-game for us to play. With the new Fable: Coin Golf lucky owners of a Windows 7 Phone will be able to play this on the move and gather money for their game on the big ol' console. "Fable: Coin Golf draws upon the wealth of traditional British pub games like Shove Ha’Penny, Bar Billiards, and Skittles, then combines them with elements from very popular modern puzzle games to create a challenging skill-based game that is entirely in keeping with the Fable pub game universe. Obstacles, hazards and pickups litter the way challenging you to think carefully about the route that you take. Take as few shots as possible, thereby earning large bonuses that affect the area score. Scores can also be increased by performing various feats around the table. Gold earned from these areas can be transferred to your Fable III game on Xbox 360 or PC." Here is the loveable and eco-friendly Yahtzee with his review of Fable III. 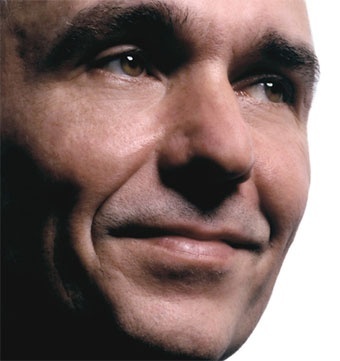 The master of Albion, the King of Lionhead and the basically all round nice guy of gaming Peter Molyneux will be honoured at this years GDC event with a Life Time Achievement award! Starting out with floppy discs and Bullfrog Peter has worked his way up through the industry to be one of the great visionaries of the modern day. With classics like Black & White, Dungeon Keeper, The Movies, and Fable under his belt he has given Britain a good name as a developer of games. Molyneux has always been a man to look forwards and not backwards when it comes to his games and his thirst to see change and growth in the industry has stoked the fires of imagination in many a game developer. With a long time still ahead of him we're all hoping that Peter has many more tricks up his sleeve, and if he can wrangle a few of them past his now tired and over worked PR people then that's grand too. Raising a pint glass to Mr Molyneux here at The Bloody Stump.